Texting My Pancreas: Advocating for the DOC... in D.C.
Something pretty cool is about to happen. As I mentioned before, I've been invited* to take part in JDRF's Government Day event in Washington, D.C this weekend. This is the first time I've been a part of something like this, and I'm thusly a combination of giddy, nervous, determined, and proud. And because several of my fellow diabetes bloggers and DOC members will be in attendance, the weekend is sure to include some Blunt Lancet and unicorn sightings. This weekend isn't about me, though - this is about all of us in the diabetes community. JDRF is bringing together advocates from every chapter in the U.S., along with JDRF staff and researchers to talk about where we are, what needs to happen, and how. The weekend also includes these advocates meeting with members of Congress to build and maintain relationships with them - because when big votes for diabetes-related funding come around, we want them to remember us when they vote. So where does a rag-tag group of diabetes bloggers fit into this? JDRF has invited a handful of us to share some perspective on what the greater diabetes community needs from them. They're looking for our ideas, feedback, and knowledge of what people affected by type 1 diabetes are looking for from JDRF. The DOC group at this event will be doing a roundtable talk with the advocates on Sunday at 2:00pm EST. I'm excited that JDRF has been interacting more and more with the DOC, because we can learn a lot from each other. Utilize JDRF Advocacy's Facebook page as another way to submit questions (great for those, like me, who tend to be verbose in their feedback). Tune into the live webcast of our roundtable discussion at the JDRF Advocacy USTREAM channel. I'd also like to hear straight from you all: What's important to you? What should I mention to help represent what our community needs/wants most? What would you like to see JDRF do that they aren't already doing to help the diabetes community at large? Leave a note in the comments section below! *Disclosure: JDRF is covering the costs of my travel, hotel, and a few meals for this event. 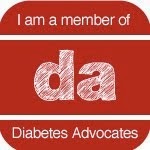 I'm attending not only as a member of the DOC, but also on behalf of my local JDRF chapter. This is the first time I've ever had costs covered for me to attend something diabetes-related, and while I'm very thankful for the opportunity, the fact that JDRF is footing the bill will not affect what I write here now, or later. Meaning: my opinions are my own. Good luck, Kim!! You're a rock star! I think one of the biggest problems I have seen among parents, including myself, is the issues we constantly have in keeping their type 1 diabetic child in school safely. Even though a 504 plan is the legal right of student in the public school system, schools constantly resist them. They make light of this condition, and refuse to make accommodations in many cases. They even intimidate and belittle parents. I have read case after case of this happening, and have experienced it first hand with my newly diagnosed child. It is so very sad to see a wonderful child viewed as a nothing more than a statistic or an inconvenience. 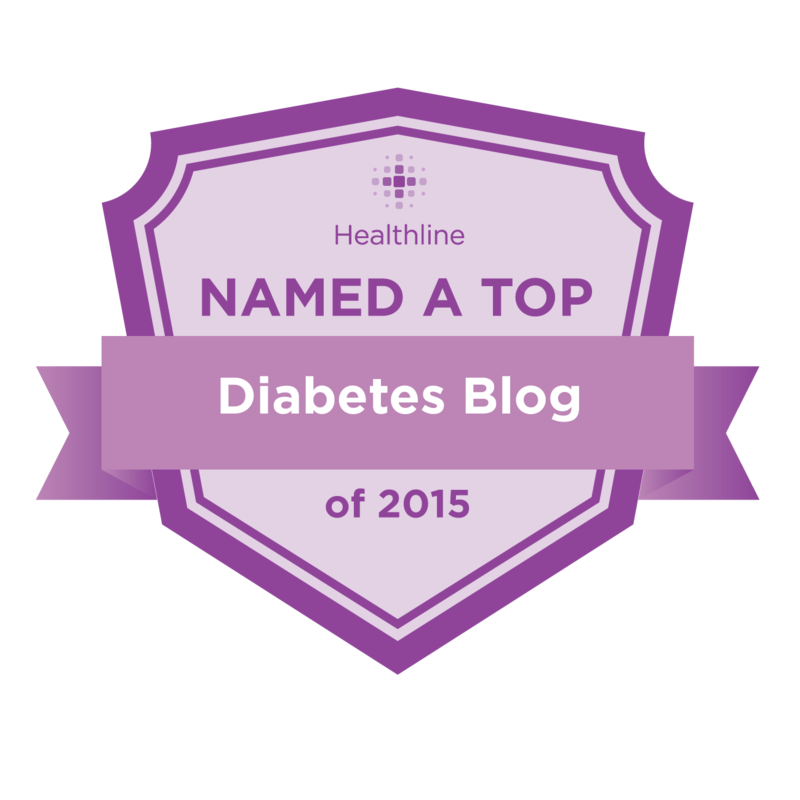 Does anyone advocate regarding the massive financial burden living w/ Diabetes can be? I know JDRF is research and finding a cure, but alot of families really struggle w/ the cost. Maybe a tax credit, or a annual cap on supplies. Could JDRF or anyone else speak up about this? Safe travels your way, Kim (and no airport shenanigins with the Scotts, k?!) It's always an experience being in a room that big and talking to CWD parents, so this will be an interesting dynamic for us. Looking forward to the entire thing, being able to see everyone, and what will be a sweet time in DC! 1. INSURANCE: coverage for all individuals w/ diabetes, and inclusion of necessary technology/supplies/treatment for all people w/D (test strips w/ no stupid daily limits; insulin pumps; CGM and sensors; all kinds of insulin and other meds.) I know that the Health Care Reform Act should help w/ the coverage for individuals, but I hope it doesn't become something that states can decide whether or not to do, or that it somehow slips out of the Act in implementation or gets conceded in the political maneuvers going on in DC right now. 1.5 Oh, also under needed coverage: more coverage for visits w/ clinical support such as CDEs, RDs, and therapists. We need more than every 3 or 4 months. We need every month/4 weeks at least. 2. RESEARCH: funding to research improved clinical treatments in addition to curative interventions...the artificial pancreas project as well as others...methods of keeping ourselves as healthy as possible while finding a way to eliminate the disease. Yeah. 3. ADVOCACY IN SCHOOLS AND WORKPLACE: as dejathoris mentioned above so clearly. I lobbied w/ the ADA for the ADA in 1990, and as a 17-yr. old type1 I resisted defining myself as a "disabled" person. Now I'm 38 and while I still wouldn't primarily define myself as disabled, I have to recognize that managing and caring for diabetes takes time and energy, all day, every day. Schools and workplaces could be much better places to support us...rather than us having to hope that some "one good person" teacher/boss will "understand" and "help." No, we should be able to expect that kind of treatment as a standard. 4. Local interaction/support/advocacy with adult type1s. I've heard quite a few people in various parts of the country mention exclusion or ignorance of those of us adults w/ type 1. Not a difficult thing to address, but sounds like it's pretty needed. The ADA certainly is not filling that hole in a lot of places. Sorry that's so long, but that's what comes to mind! Have an amazing time--can't wait to see/hear how you like it!! Have fun! Kim, I'm looking forward to seeing you again and being able to catch up, live and in person. I'm also looking forward to watching you, and the rest of the DOC folks attending, proudly represent for the many that can't be there in person. Have a wonderful trip! Let them know how complicated it all is! Give it to them straight! I'm so happy you are going to be there advocating on our behalf! You go girl! Can't wait to hear all about the fun and the hard work. Im so glad I decided to comment AFTER seeing you at via ustream. You were awesome!!! Love love love!